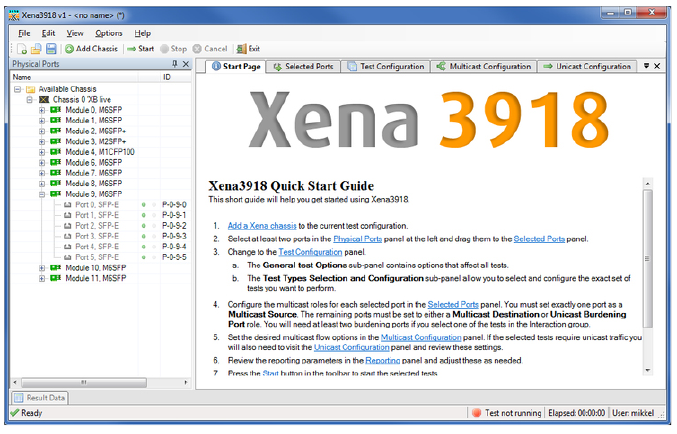 Valkyrie3918 is a free PC application installed together with ValkyrieManager that lets you do advanced IP multicast network testing, by helping you perform RFC3918 testing using one or more Xena test chassis. Valkyrie3918 provides an easy-to-use port configuration panel that lets you add and remove ports, and assign IP addresses and port roles. Ports from multiple ValkyrieBay and ValkyrieCompact chassis can be freely mixed. The tests can be performed using various framesizes, either as in-test variations or as multiple testruns each using a fixed frame size. 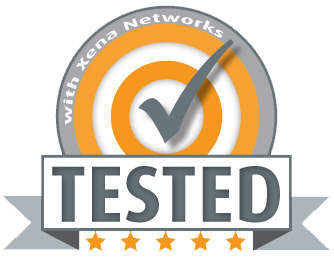 The multicast traffic can be configured to use the exact protocol headers needed. All fields in the protocol headers can be modified. The unicast traffic for mixed class and burdening tests can be specified separately in a similar fashion. 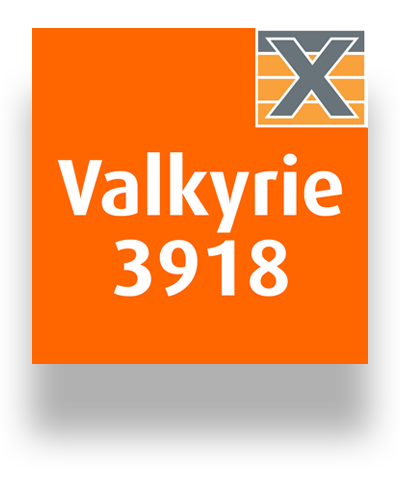 Valkyrie3918 is automatically installed together with ValkyrieManager. Valkyrie3918 makes it easy to select the relevant test types and offers a simple GUI for defining a wide variety of settings.